Amor AVI Divx to VCD SVCD DVD Converter is a powerful utility for video file conversion.The main features include: conversion of AVI files to MPEG1, MPEG2,VCD/DVD/SVCD format;PAL-to-NTSC conversion and vice versa are also included,support for AVI, MPEG1 (layer1, layer2, and layer3), MPEG2,and MPEG4 formats;input/output preview; high audio quality;support for no-sound AVI files. Allok AVI Divx MPEG to DVD Converter is excellent DVD burning software which helps you convert most popular video formats such as AVI, Divx, MPEG, WMV, ASF to DVD and burn them into DVD disc, so you can watch them on home DVD Player ,car DVD Player or any other portable DVD Player. Asee DVD Video to DivX Converter v4.98 is can convert DVD movies , IFO, VOB, RM, RMVB, WMV, asf, AVI, XviD, H.264, Mpg, dat, MOV,Q T, Mpeg, MP4, MP3, FLV to DivX. 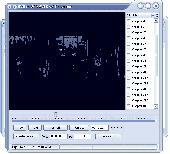 All DivX to DVD Creator transcodes and burns internet movie files into DVD disc. With DVD encoding and burning engine integrated you can easily Merge up to 4 hours of multiple movies or episodic files to standard MPEG2 Video.